Frisco Backpack: The Frisco Backpack is for the minimalist who lives large! Crafted in quality cowhide, this bag boasts style and function. This supple leather backpack has a convenient side zipper pocket, front zipper storage and a large U-Zip front entry to the main fully lined compartment that offers pockets for your organization. The Frisco is big enough to hold your tablet for work or all of your needs for a day of exploring. Stroll the shops carrying the Frisco by its top handle or jump on the trolley and enjoy the comfort of all of your necessities secured snuggly on your back. Frisco Backpack: The Frisco Backpack is for the minimalist who lives large! 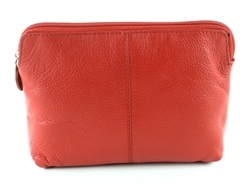 Crafted in quality cowhide, this bag boasts style and function. This supple leather backpack has a convenient side zipper pocket, front zipper storage and a large U-Zip front entry to the main fully lined compartment that offers pockets for your organization. The Frisco is big enough to hold your tablet for work or all of your needs for a day of exploring. Stroll the shops carrying the Frisco by its top handle or jump on the trolley and enjoy the comfort of all of your necessities secured snuggly on your back. Frisco Backpack: The Frisco Backpack is for the minimalist who lives large! 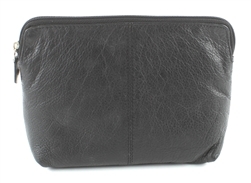 Crafted in quality cowhide, this bag boasts style and function. This supple leather backpack has a convenient side zipper pocket, front zipper storage and a large U-Zip front entry to the main fully lined compartment that offers pockets for your organization. The Frisco is big enough to hold your tablet for work or all of your needs for a day of exploring. Stroll the shops carrying the Frisco by its top handle or jump on the trolley and enjoy the comfort of all of your necessities secured snuggly on your back. 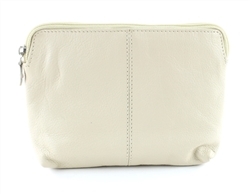 Small Makeup Bag Small Makeup Bag This expansive duffle bag, made with genuine cowhide leather, has an extreme amount of storage space. 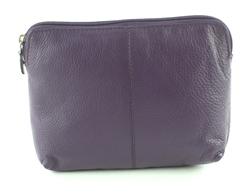 There is also a zippered pocket inside. The exterior features a spotted hair on hide pattern in the center on both sides. It also two thick stitched straps. This expansive duffle bag, made with genuine cowhide leather, has an extreme amount of storage space. 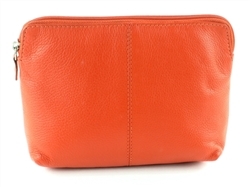 There is also a zippered pocket inside. The exterior features a spotted hair on hide pattern in the center on both sides. It also two thick stitched straps. Passport Cover Classically elegant with a luxurious modern Jewelry Roll, a pretty solution to store your jewelry. The perfect travel accessory, you will never be without an accessory again.